All the information you need to service your robot is a click away. 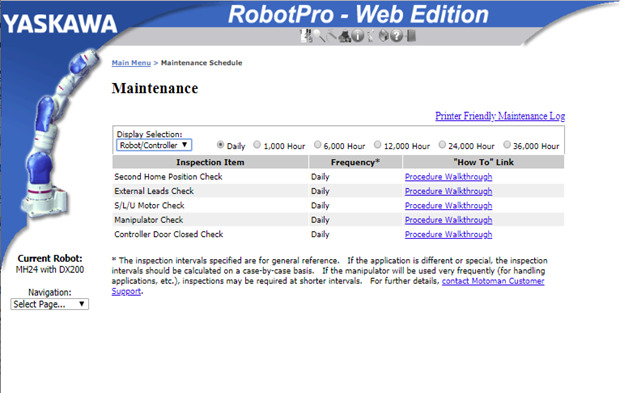 RobotPro® is packed with detailed service documentation that can save you time and money in tackling robot repair and preventive maintenance. With no software to install, your service team can access the most comprehensive robot maintenance package in the industry directly from any connected computer or smartphone. Approximately half of industrial downtime can be attributed to the troubleshooting process. 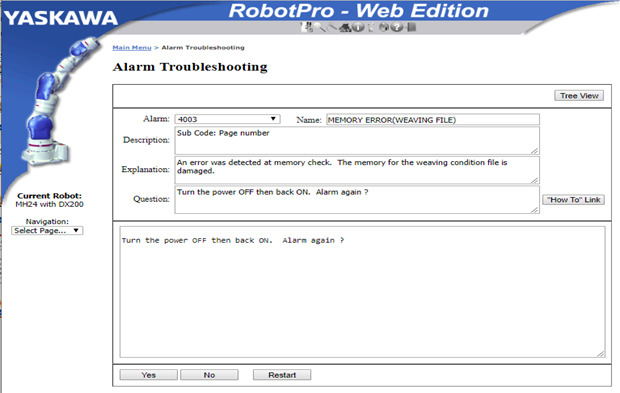 Guided steps in RobotPro enable you to quickly identify the cause of an alarm or error. Tackle repairs with minimal training and zero guesswork.The user-friendly graphical interface of RobotPro features step-by-step instructions, drawings and schematics. Maximize the return on your equipment through a self-guided maintenance program. 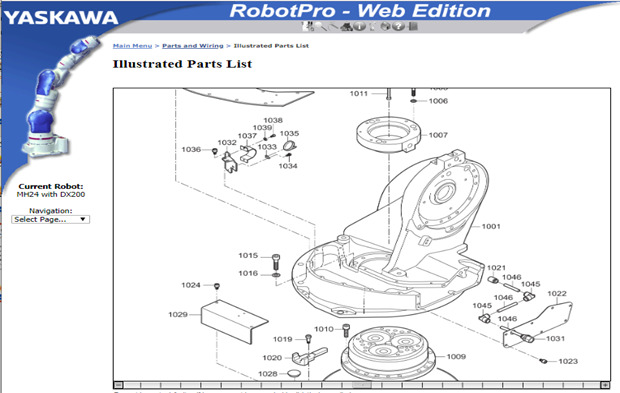 RobotPro offers spare parts lists, maintenance schedules, PM checklists and repair records for each of your robots. 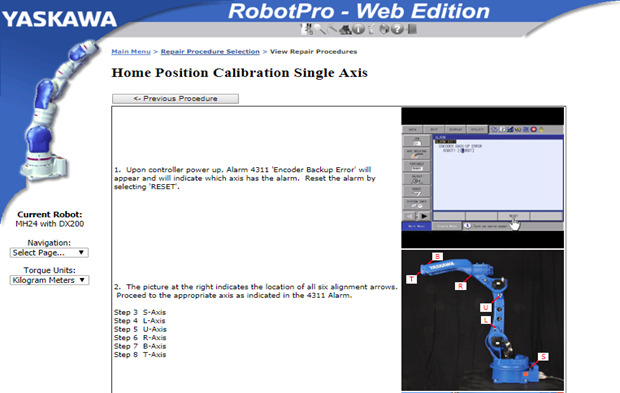 Offer includes 10-day access to RobotPro Web Edition for one Motoman robot model per customer, per site. USA and Canada sites only. Not seeing your robot? Ask us about software options for additional models compatible with DX or NX controllers.